Pollution is responsible for 16% of all deaths worldwide and although most of these in developing countries, developed countries are not immune. To put that figure into perspective, according to a startling new report produced by the Lancet Commission on Pollution and Health, the death toll from pollution is three times higher than deaths from AIDS, tuberculosis and malaria combined and 15 times higher than from wars and other violence. In many parts of the world, pollution is getting worse. The types of pollution we are exposed are also changing. For example, household air and water pollution, the forms of pollution associated with profound poverty and traditional lifestyles, are slowly declining. However, according to the report, ambient air pollution, chemical pollution, and soil pollution—the forms of pollution produced by industry, mining, electricity generation, mechanised agriculture, and petroleum-powered vehicles—are all on the rise, with the most marked increases in rapidly developing and industrialising low-income and middle-income countries. » A new international report has shown that 16% of all deaths worldwide are linked to pollution in the air, water, soil and to occupational exposure to pollutants. » In the hardest hit countries 1 in 4 premature deaths can be linked to exposure to pollution. » While some forms of pollution, such as household air and water pollution, are getting better, chemical pollution in particular has become exponentially worse. » The authors say making pollution prevention a high priority nationally and internationally would yield large gains in terms of human health, the environment and the economy. It notes particularly that chemical pollution “is a great and growing problem”. 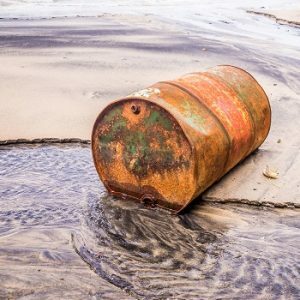 It acknowledges that many rich countries either outsource their production of these toxic chemicals to poorer countries, which then suffer the burdens of pollution as a result of manufacturing. Likewise many wealthy countries get rid of “pesticides, industrial waste, and toxic chemicals that are no longer permitted in North America or the European Union” by selling them off or dumping them in poorer countries. Pollution causes 16% of all deaths globally. Diseases caused by pollution were responsible in 2015 for an estimated 9 million premature deaths – 16% of all deaths worldwide – three times more deaths than AIDS, tuberculosis, and malaria combined; and fifteen times more than all wars and other forms of violence. It kills more people than smoking, hunger and natural disasters. India, many countries in Africa and some South American countries have been hit particularly hard by pollution and in the most severely affected countries pollution-related disease is responsible for more than one death in four. Pollution is closely tied to climate change and biodiversity.Fossil fuel combustion in higher-income countries and the burning of biomass in lower-income countries accounts for 85% of airborne particulate pollution. Major emitters of carbon dioxide are coal-fired power plants, chemical producers, mining operations, and vehicles. Accelerating the switch to cleaner sources of energy will reduce air pollution and improve human and planetary health. The conclusion of the report is that we must “Make pollution prevention a high priority nationally and internationally” and that to do so would yield large gains in terms of human health, the environment and the economy.